This joy, however, does not diminish the very real grief that we feel. The same love we have for each other in Christ brings deep sorrow when we are parted by death. Jesus himself wept at the grave of his friend, Lazarus. So, while we rejoice that one we love has entered into the nearer presence of our Lord, we sorrow in sympathy with those who mourn. Because the memorial service is first and foremost an act of Christian worship, it is subject to the same standards as the weekly liturgies at Saint Mark’s. The clergy in charge will be the final authority for any special requests. Baptized Christians are properly buried from the church. The service should be held at a time when the congregation has an opportunity to be present. The PDF booklet below is a tool for approaching the many stages of planning for a memorial service. The first step is to contact the church and arrange a meeting with a member of the clergy. Saint Mark’s staff is here for support, guidence and prayer in this time of grief. The booklet is designed to facilitate the planning of a memorial service during a very difficult time and constitute the customs of Saint Mark’s Episcopal Church. There are provisions in the Book of Common Prayer for the appropriate scripture readings, psalms and hymns for the service. Those same suggestions are also provided in this booklet. Please choose those which will make this service the right one for the celebration of the life of the departed and a fitting memorial in the hearts and minds of those who mourn. View the PDF file of our Memorial Service Booklet. 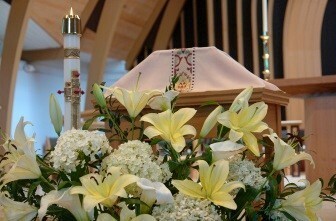 View the suggested Memorial Service Scripture Readings. Pre-Planning your memorial service is a wonderful way not only to ensure that your wishes are carried out on that important occasion, it is also a special gift to loved ones who may be struggling in a time of grief to determine just decisions you might have made. Saint Mark’s has created a document to help you with this process, and clergy and music staff are always available to help you through its completion or review. There also links within the Memorial Booklet that is found above to assist with prayers and music, and a link to suggested scripture. 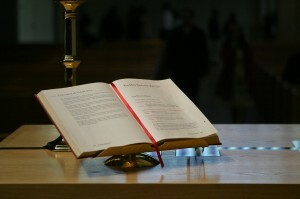 Once complete, a copy is filed at the church office. It is also suggested that you share it with loved ones, and keep an additional copy with your will and other similar documents. View the PDF file for Memorial Service Pre-Planning. 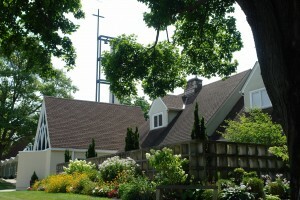 Visit Saint Mark’s Memorial Garden page HERE.